Bollee's work is a fast-paced practice between hasty sketched motifs and a cacophonous flurry representation of 80's street art and pop art. 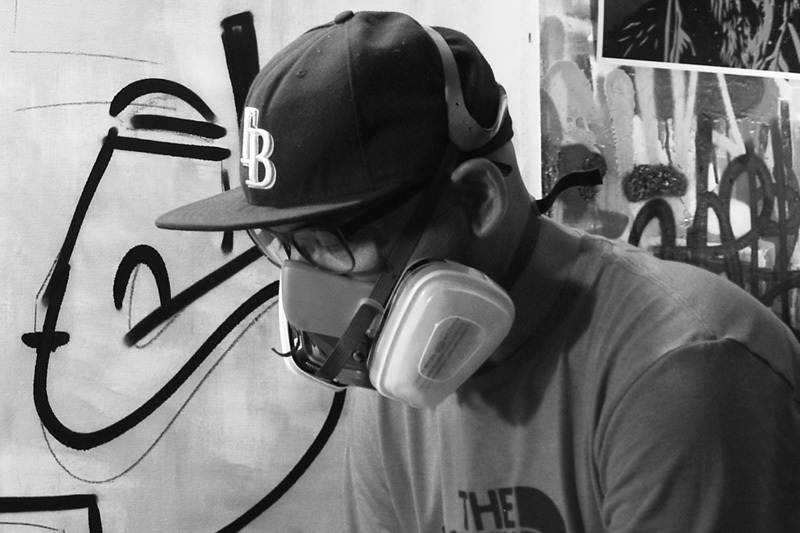 He often pulls from his graffiti background and other forms of abstraction to set a foundation of his infused contemporary art painting style with acrylic and spray-paint, while often incorporating house hold mediums. With this twist of conflict, Bollee's artwork contains a multi-layered chaotic metaphor of his personal life. These works have a body of comprehensive art which requires an inverted lens to fully consume the story behind the artwork. © Copyright 2010-2019 All artwork is original artwork and are the exclusive copyrighted works of Bollee Patino, LLC. ALL RIGHTS RESERVED.